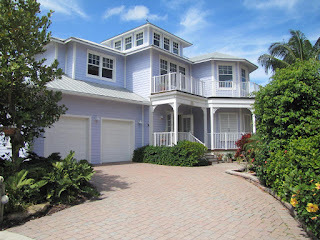 Florida Real Estate: Key West Style Home In Juno Beach For Sale! 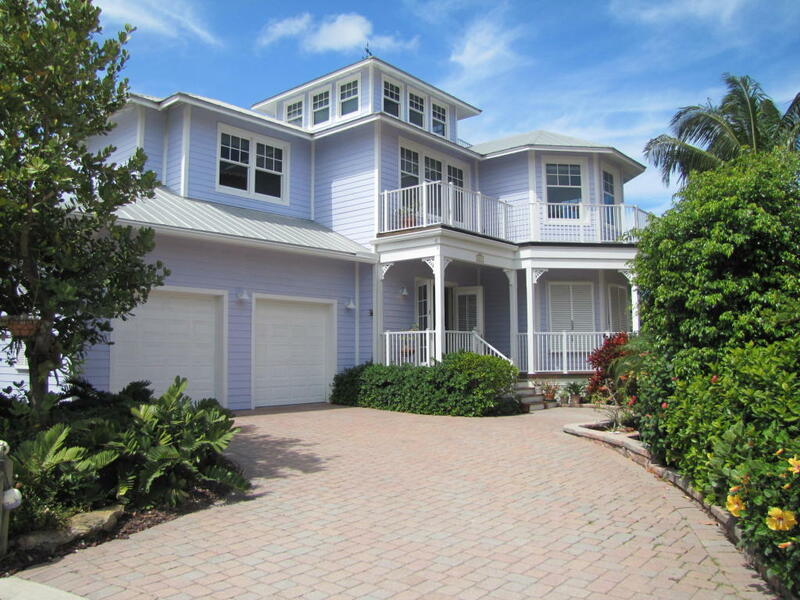 This stunning three story Key West style home is perched in the middle of Juno Beach's most enviable landmarks. This three bedroom and three bathroom gem is laid out generously over two thousand and six hundred square feet of perfectly appointed living space. This home has a rare sense of seclusion nestled on the end of a dead end road. This home boasts no home owner association fee's. There are two balconies that over look the shimmering Atlantic Ocean. The backyard has mature lush tropical landscaping. This is a newly built home in 2004. There is a deep well with the whole house on reverse osmosis water system which provides pure water. The chef's dream kitchen features a full suite of stainless steel appliances, sleek granite counter tops, custom cabinetry and a butcher block island. The home has custom wooden blinds, crown molding, hardwood floors and high impact doors and windows throughout. The decks are all Brazilian hardwood. This house is only steps to the prestigious beaches of Juno and is the perfect beach lover's paradise.